Tommaso Maria Zigliara, OP (baptismal name: Francesco) (end of October 1833 – 11 May 1893) was a Roman Catholic priest of the Dominican Order, a theologian, philosopher and a cardinal. Zigliara was born at Bonifacio a seaport of Corsica. Zigliara's early classical studies were made in his native town under the Jesuit teacher, Father Aloysius Piras. At the age of eighteen he was received into the Order of Preachers at Rome, and made his religious profession in 1852 and studied philosophy at the College of Saint Thomas, the future Pontifical University of Saint Thomas Aquinas, Angelicum. From the beginning Zigliara was a student of uncommon brilliancy. He completed his theology studies at Perugia where, on 17 May 1856, he was ordained by then Archbishop of Perugia Gioacchino Pecci the future Pope Leo XIII. Soon after ordination the young priest was appointed to teach philosophy, first in Rome, then at Corbara in his native Corsica, and later in the diocesan seminary at Viterbo while master of novices in the neighbouring convent at Gradi. When his work at Viterbo was finished, he was called to Rome, again made master of novices. Zigliara taught at the Collegium Divi Thomae, the future Pontifical University of Saint Thomas Aquinas, Angelicum, from 1870 to 1879, becoming a master in sacred theology and serving as regent of the college after 1873. Before assuming this latter duty, he was raised to the dignity of master in sacred theology. When his community was forced by the Italian Government in 1873 to give up the convent of the Minerva, Zigliara with other professors and students took refuge with the Fathers of the Holy Ghost, who had charge of the French College in Rome. Here the lectures were continued until a house near the Minerva was secured. Zigliara's fame was now widespread in Rome and elsewhere. French, Italian, German, English, and American bishops were eager to put some of their most promising students and young professors under his tuition. 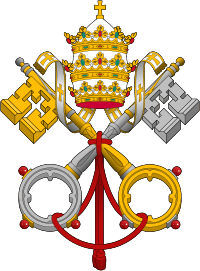 Zigliara had a role in composing Papal Encyclicals important for the revival of Thomism and in response to the modernist crisis. "Zigliara also helped prepare the great encyclicals Aeterni Patris and Rerum novarum and strongly opposed traditionalism and ontologism in favor of the moderate realism of Aquinas." 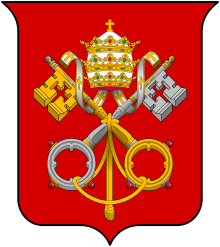 Between Cardinal Pecci, Archbishop of Perugia, and Zigliara there had existed for many years the closest friendship, and when the former became pope as Leo XIII, in his first consistory (1879) he created Zigliara a cardinal. Zigliara was first numbered among the cardinal-deacons, then he became a cardinal-priest, and in 1893 he was appointed Bishop of Frascati, one of the seven suburbicarian sees; but, owing to the sickness which ended in his death in Rome on 11 May 1893, he never received episcopal consecration. Dimittatur e la spiegazione datane dalla S. Congregazione dell' Indice. ↑ Kelly, William J. (2000). "Zigliara, Tommaso Maria." In: Biographical Dictionary of Christian Theologians. Westport, Conn: Greenwood Press, p. 549. 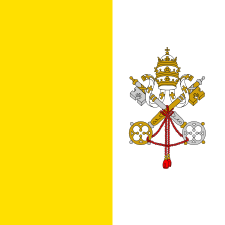 Wikisource has the text of the 1913 Catholic Encyclopedia article Tommaso Maria Zigliara.